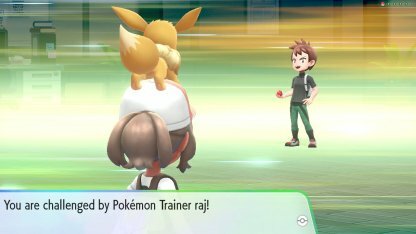 Check out this guide for a full storyline walkthrough up to Lt. Surge & Vermilion City Gym of Pokemon Let's Go Pikachu / Eevee, including gameplay tips, guides, and more! Your Rival will now have 3 Pokemon to fight you with. Remember each of their weaknesses before attempting to fight him. Your Rival will have Lv.12-13 Pokemon in his roster so be sure to match his level. If you lack any, level up your Pokemon near Route 24. 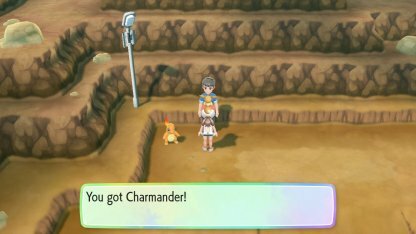 In Route 24, you'll encounter a man who'll give you a Charmander if you've captured 50 Pokemon or more. Check Out Charmander's Stats & Moves! 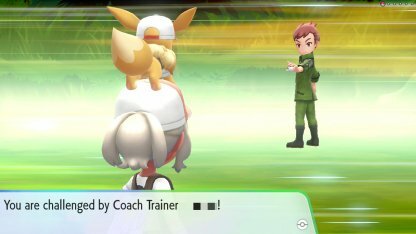 In Route 25, you'll meet with another Coach Trainer that you can fight as an option. Defeating him will give you the TM 15 - Seismic Toss. Check Out TM15 - Seismic Toss Here! This part of the path is easy and simple to follow. You just need to keep heading down the underground path to reach Route 6. To the right of the Pokemon Center, you can talk to Jenny. 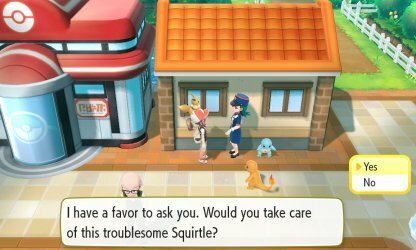 She'll give you a Squirtle if you've already capture 60 Pokemon or more. Check Out Squirtle's Stats & Moves Here! Find the Pokemon Fan Club member in Vermilion City and talk to them. Listen to their story & they'll give you a Pikachu Set when they're done. 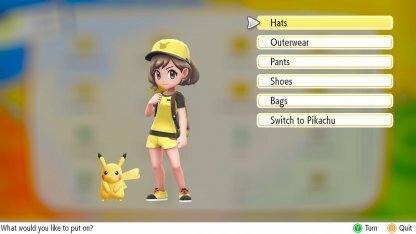 Check Out All Outfit List Here! At this stage of the game, your Rival's roster hasn't changed but their level will range from 20-21. Level your own Pokemon accordingly before battling him. 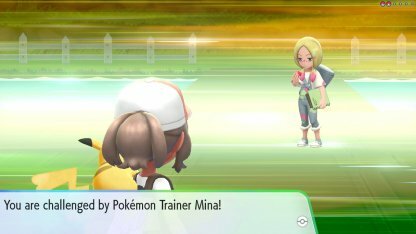 Mina's Pokemon are a Lv.21 Jigglypuff & Lv.22 Mr. Mime. They're both hybrid Fairy Types and are weak against Poison Pokemon. 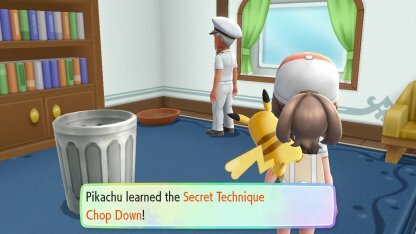 You will to know the Secret Technique, Chop Down a tree blocking your way to be granted access to the Vermilion Gym. Use your technique on the tree blocking your way to enter. 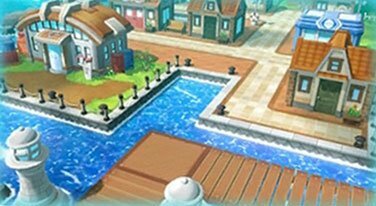 You have to go through S.S. Anne and get the Secret Technique Chop Down from the Captain to enter the gym at Vermilion City. It's best to use Ground Type Pokemon to fight Lt. Surge's Electric Pokemon. These are the only weaknesses of Electric Types. 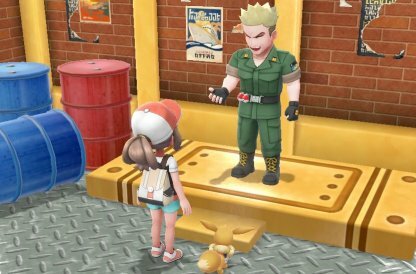 After defeating Lt. Surge's Pokemon, he'll give you TM36 - Thunderbolt. This hits its target with a strong electric blast & may cause paralysis. Check Out TM36 - Thunderbolt Here! Next Walkthrough: Celadon City Gym!